It does not get any hotter than salsa and tango! If you love watching those celebrities dancing shows on TV and envisioning yourself learning how to dance like that, now is your chance! It’s never too late to start learning these two or any other style of Latin American dancing. At Dance with me Toronto, we offer Salsa and Argentine Tango lessons and classes for adults in Toronto and Markham. We can get you ready for an exhibition performance with tango or we can simply give you the basics to go out and have fun at the clubs with some salsa. Argentine Tango is a dance, which originated at the end of the 19th century in the suburbs of Buenos Aires. It is currently experiencing an explosion in popularity nowadays. The Argentine Tango can be danced in a chest-to-chest close embrace style or in a more open style with the dancers separated by some distance. The dance steps are improvised and spontaneous. Dancing in tune to the emotion and tempo of the music and connection between the partners is very important in Argentine Tango dancing. This dance is very sensual, punctuated by kicks and gentle touches of the legs and feet. Salsa, undoubtedly the most popular club dance, is hot, spicy and full of Latin flavor. You can’t help but just get up and dance! Boasting a mixture of styles that came from many Latin, Afro-Cuban and Afro-Caribbean dancing, especially the Mambo, the basic salsa step is called the Mambo step. There are several distinct styles of salsa – Colombian, Cuban (also known as Miami and Casino Rueda), Los Angeles and New York – but no matter which one you like, you can be sure you’re going to have fun and get an amazing cardio workout. Although all styles can be danced to the same music, they differ in timing and logistics. In addition to the hot music, salsa appeals to many people because it allows them to improvise their own moves turning Salsa into an exciting, creative and flirtatious dance. Definitely sounds fun! Try us for salsa lessons Toronto and Markham! In addition, you will learn some more Latin dancing – the happy and upbeat Merengue and romantic and sensual Bachata. 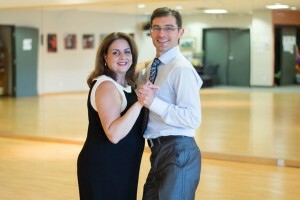 Owned and operated by Egor Belashov, 2008 Canadian National Professional Ballroom Champion, Dance with me Toronto offers a variety of private and group salsa and Argentine tango lessons and classes that appeal to any adult no matter what age. If you are looking for Salsa and Argentine Tango Lessons or other Latin Style dancing Classes Toronto, call us today to make an appointment. You will be glad you did! We look forward of having you in our dancing classes!